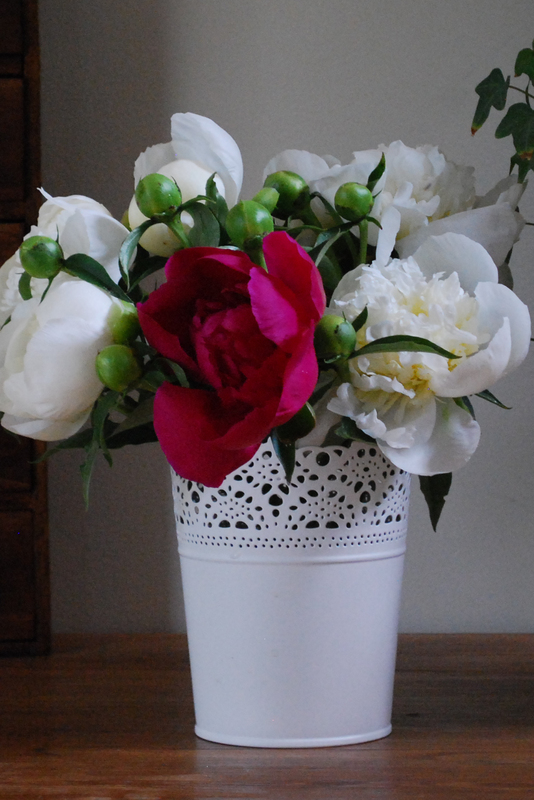 Once again I forgot to put frames around the peonies. Perhaps I am propping up so many other things that the heavy flowers are destined to a life bent low. I can only do so much. But here are the rescued ones, and my house smells of the sweetness of spring. It is all rather like a joyful hymn: “Hearts unfold like flowers before thee, opening to the sun above.” In the unfolding there is a receiving and a becoming and a conferring of certain beauty wrought by the Hand of God. 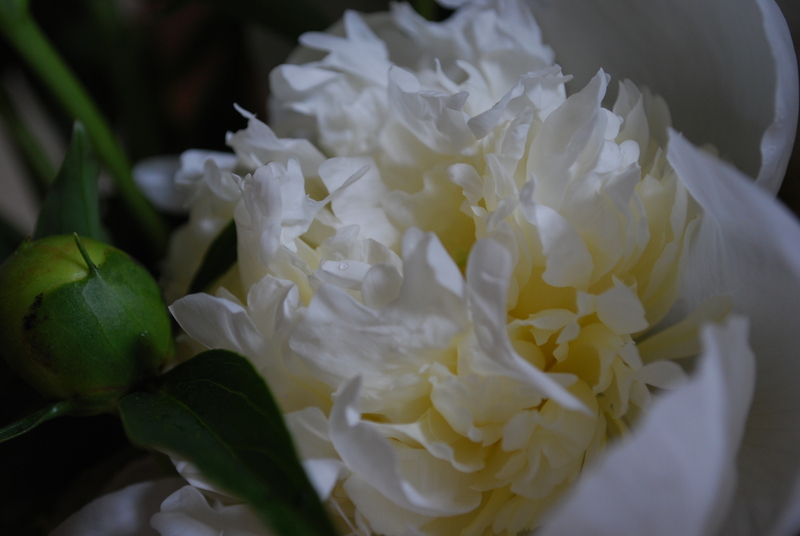 Peonies are a beautiful reminder of how delicately God has created our world. 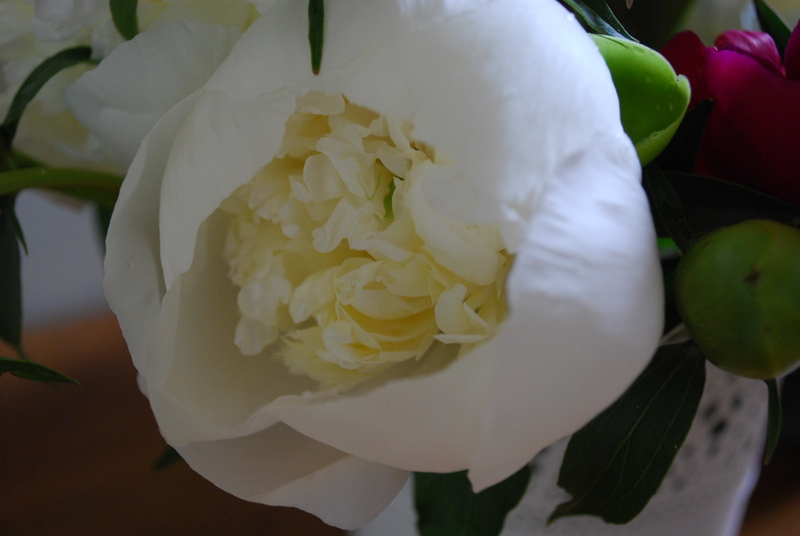 The Michigan peonies are heavy and leaning over too this year. Oh Julie. . . so true. . .”A life bent low”. .. is there any other way? ?